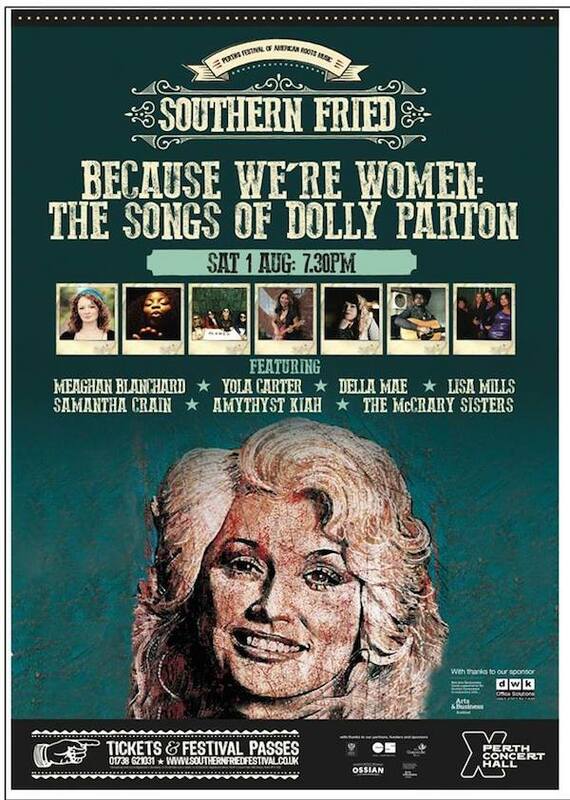 A ‘Songs of’ evening has become a regular part of the concert hall sessions at Southern Fried. If you have never been there it needs some explaining. The stage is set up like a bar, with tables, and with a small stage for the house band band to the side. The tables are occupied by singers and musicians who are due to appear elsewhere on the festival schedule. 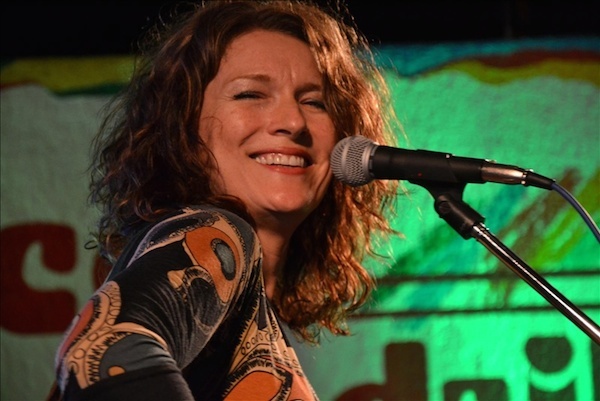 This way, the evening is not simply a tribute to a well-known songwriter, but a chance to get to sample many of the acts you can make a point of going to see, as each singer gets up in rotation and takes a shot at one of the featured songwriter’s canon. As a concept, it doesn’t always work. A few years ago, when it was in its experimental stage, one or two singers seemed uncomfortable with the material, which was outside their normal musical genre. Add to that the fact that often the final organisation happens about a week before the show, and you can see why the format runs the risk of being a bit ragged round the edges. Tonight, however, for an all-female presentation, we were blessed by a good combination of factors. Firstly the house band was Boston-bred, Nashville-based Della Mae, who had obviously worked very hard at arrangements and coordinating the other musicians. They are, I have to say, and excellent band in their own right. Secondly their guests were from across a range of genres, each one a fine singer in her own right. And thirdly, probably most importantly, the material they were working with consisted of compositions by a brilliant songwriter. The auditorium was packed with Dolly Parton fans – you could tell this by the reactions to the songs – but I would say that even if you don’t fit neatly into that category there was a lot to gain from the evening. I’m someone who can only take Dolly’s singing in small doses, and I mean that without taking anything away from it. It’s just a familiarity thing – because she is now simply part of our general musical landscape, her own singing has lost a little of its power to impress and surprise. So having her songs showcased by a collection of other singers gives an opportunity to appreciate them and savour them, and to realise what strength there is in her songwriting. Interpretation was the name of the game. The singers. Allow me to mention, first of all, Amythyst Kiah. She has a kind of let’s-do-it delivery that somehow appeals to me and commands me to listen, drawing attention to the content of what she is singing. If one of the side issues here is to persuade us to explore a singer’s own material, then I’m going to explore hers. But I guess I could say the same about each of the contributing singers, in their own way. Lisa Mills, Samantha Crain, and Meaghan Blanchard each brought an interpretation that reminded us that Dolly is a country songwriter. I had heard Meaghan before in rehearsal; in performance she shifted up a couple of gears. Lisa and Samantha were entirely new to me and, once again, have persuaded me to explore. 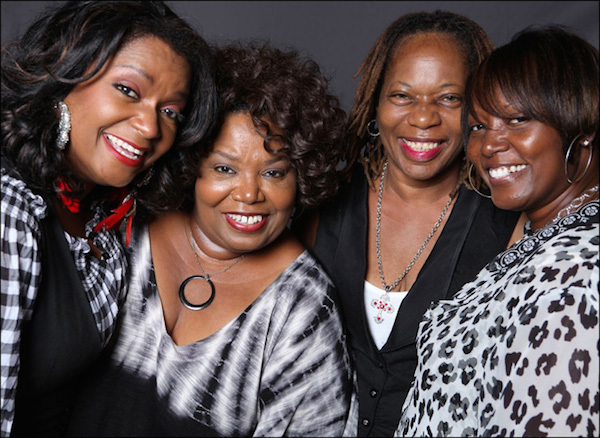 The McCrary Sisters – Ann, Deborah, Regina, and Alfreda – brought us a gospel quartet interpretation. One of them (I’m ashamed to say I don’t know which!) gave us a full-on, Whitney-Houston-style ‘I Will Always Love You’, bringing the crowd to their feet before she had even finished. In my previous review, I said that I felt that Southern Fried this year was orienting itself too much towards Country. Well, the presence of Yolanda Quartey (billed as Yola Carter), formerly of British band Phantom Limb, moved things a good way back towards Soul. Slowing Dolly’s ‘Jolene’, she turned it into a hard-edged Rhythm & Blues song. Yola’s voice is utterly amazing, and if I had to hand out a golden apple for tonight’s performance it would be to her. I’m also going to mention Della Mae’s Jenni Lyn Gardner, who was a little tearful by the end of her solo in ‘The Grass Is Blue’. A touching moment, and a tribute to Dolly Parton’s ability to move us. This is the essence of Country music – some people consider it merely sentimental, but that sentimentalism carries real, close-to-home emotion. The songs. Apart from those mentioned, we were treated to ‘He’s Going To Marry Me’, ‘Do I Ever Cross Your Mind?’, ‘Joshua’, ‘Shattered Image’, ‘Coat Of Many Colors’, ‘But You Know I Love You’, ‘Travelling Man’, ‘I Am A Seeker’, and several others. Were there any weaknesses to the performance? Well, perhaps the ensemble rendition of ‘Because I Am A Woman’, and the predictable encore of ‘Nine To Five’, were a trifle haphazard. But it was a time to let their hair down, and the audience was in a totally forgiving mood. Afterwards a concert-goer, noticing I was a media rep, made a point of telling me he thought they should take that on the road as a show. It would indeed be a sell-out wherever it went, but the fact that it coordinated acts from as far apart as Tennessee, Canada, and England just goes to show how much hard work, quick work, and sheer talent went into pulling it off. It was Alfreda McCrary that did the bang-up version of ‘I Will Always Love You’.